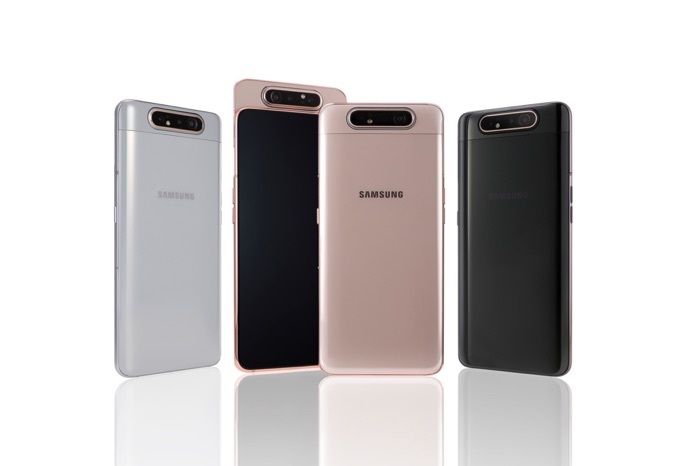 The new Samsung Galaxy A80 was made official recently, we previously saw a video of the handset and now Samsung has highlighted the devices specifications in a new Infographic. 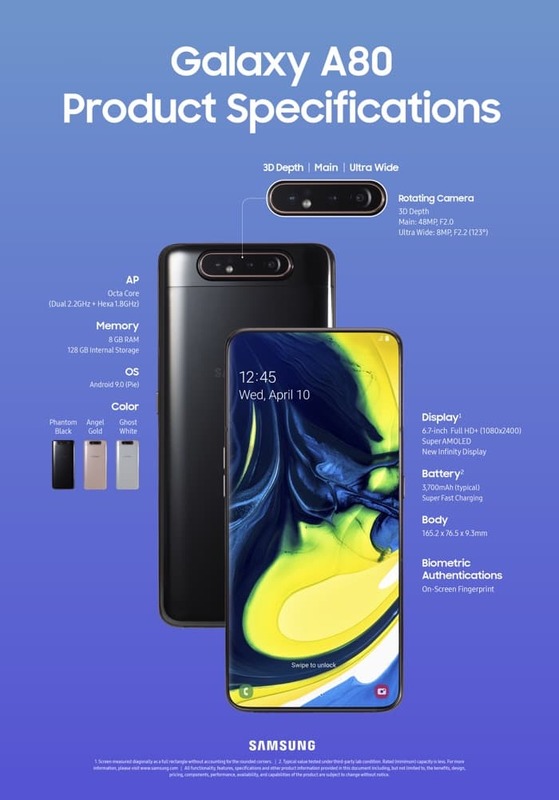 The handset comes with an innovative solution to the cameras, it has a triple camera setup that flips from the front to the back to be used a both cameras. The new Galaxy A80 comes with a 6.7 inch Super AMOLED display with a Full HD+ resolution, the handset comes with an octa core processor and it has 8GB of RAM and 128GB of storage, it also comes with a 3700 mAh battery. The rotating camera is made up of one 3D Depth camera, one 48 megapixel camera and one 8 megapixel ultra wide camera, you can see the infographic below.